The Centre may soon implement rules that ensures reservation for persons with disabilities in government jobs, under the Rights of Persons with Disabilities Act. The legislation was notified last week after the President gave his assent to it. "We are framing rules for implementation of the Rights of Persons with Disabilities Act. We are planning to notify the rules on April 14, the birthday of B R Ambedkar the architect of Indian constitution," Union Social Justice and Empowerment Minister Thaawar Chand Gehlot said at a programme on Thursday. "The Bill was passed in the Winter Session of Parliament and then sent to the President for his assent. After the President's nod, it was notified last week," he said. On the occasion of Louie Braille's birthday, Gehlot distributed aid and assistive devices to visually impaired students under ADIP scheme of the government. He also disbursed scholarship cheques to them. The Rights of Persons with Disabilities Act provides for raising reservation in government jobs for persons with benchmark disabilities from three to four per cent and in higher education institutes from three to five per cent. With the enforcement of the Act, every child with benchmark disability between the age group of 6 and 18 years will have the right to free education. 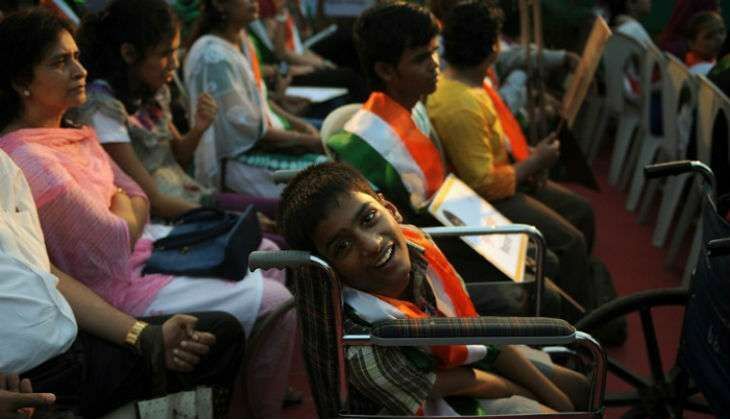 The legislation aims to bring Indian laws in line with the UN Convention on Rights of Persons with Disabilities. Under the Act, the types of disabilities have been increased from the seven to 21. The newly added types include mental illness, autism, spectrum disorder, cerebral palsy, muscular dystrophy, chronic neurological conditions, specific learning disabilities, multiple sclerosis, speech and language disability, Thalassemia, hemophilia, sickle cell disease, multiple disabilities including deaf blindness, acid attack and Parkinsons disease. Also, disability has been defined based on an evolving and dynamic concept and government will have the power to add more types of disabilities to the list. As per the Act, assaulting, insulting, intimidating, denying food to a person with disability or sexually exploiting a differently-abled woman and performing a medical procedure on such woman without her consent which may lead in termination of pregnancy will draw a jail term up to five years. Coffee with D postponed: Makers claim constant threat from the underworld! READ NEXT >> Amrita Arora plays peacemaker for Malaika, Arbaaz Khan?